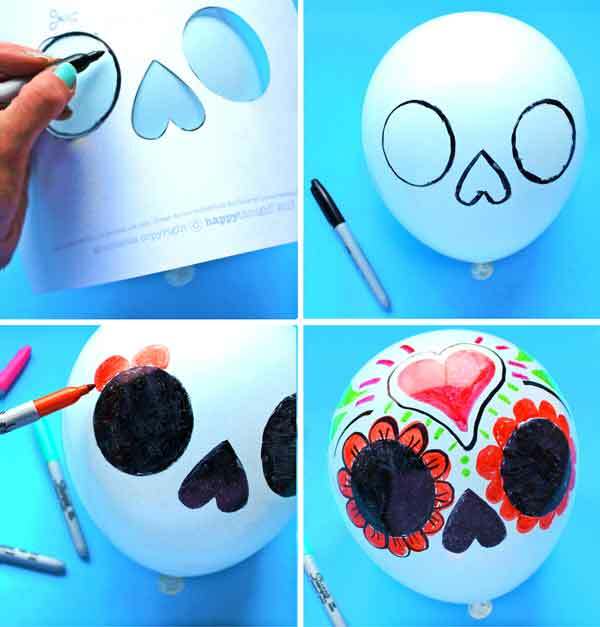 Balloon calavera skulls tutorial - Day of the Dead - Instructions + templates! 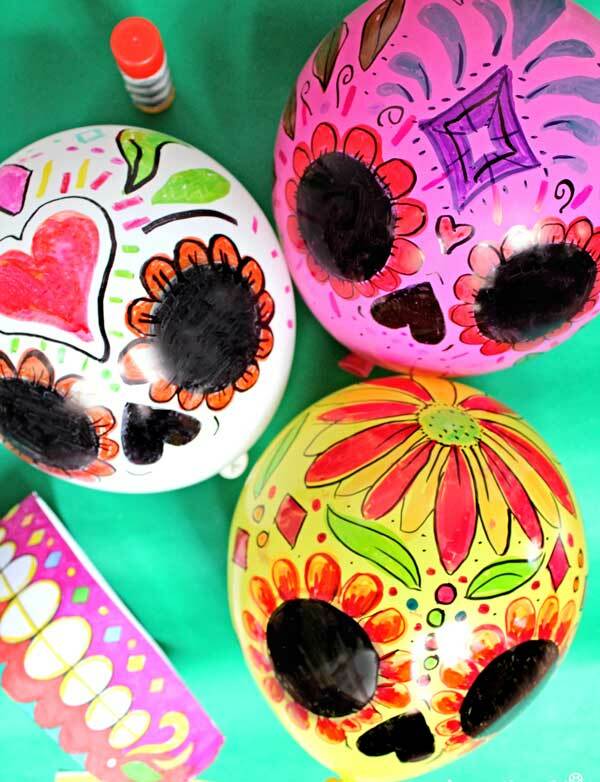 Dia de los Muertos balloon calavera skulls, ideal for activities and craft ideas! 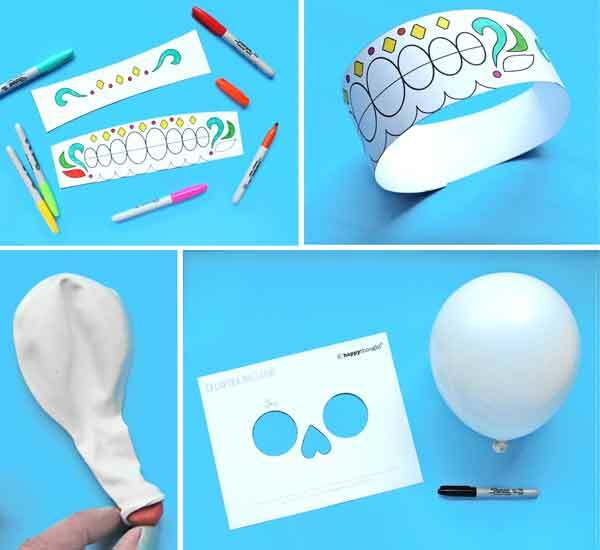 Theseballoon and paper Calavera skulls are fun and easy to make. 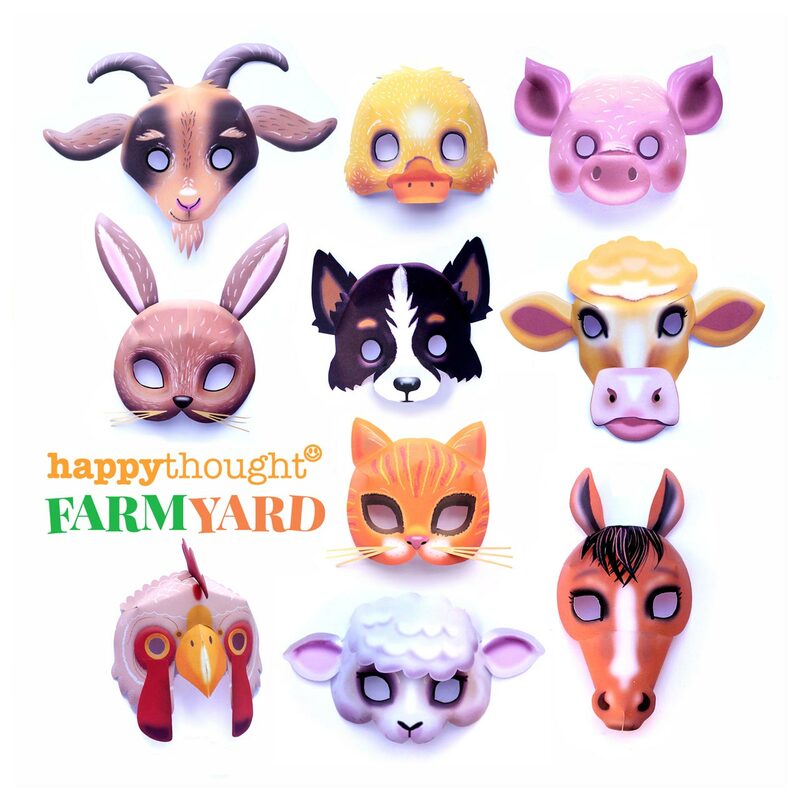 They will look great on a Day of the Dead shrine or as decorations for your festivities. 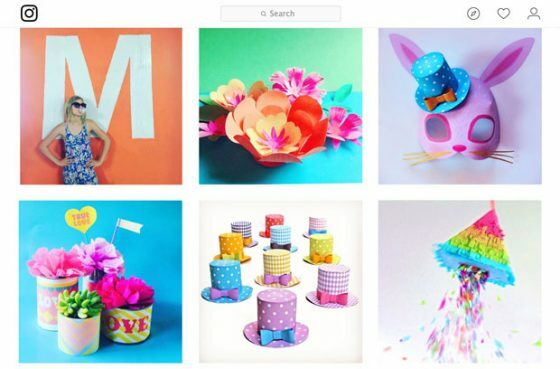 Balloons in various colors, Scissors, a glue stick, Sharpie markers in bright colors, a ball of plasticine or a pebble. 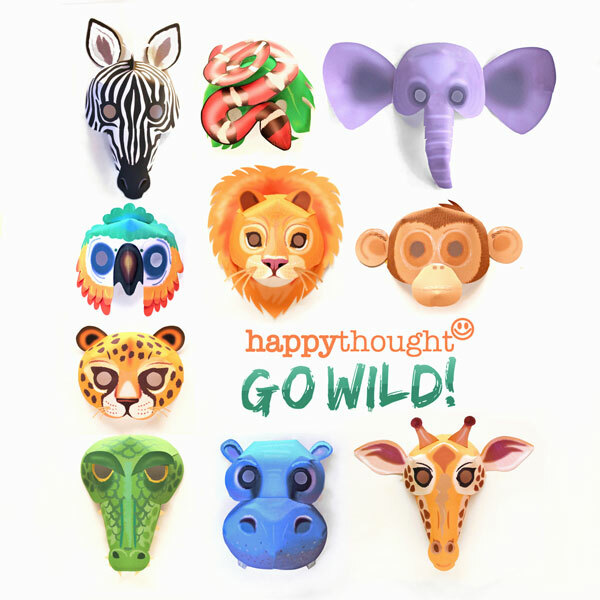 Happythought templates printed on to light card stock. Cut out the skull base templates and color them in. Glue the two sections of the base together, as indicated. Insert a small ball of plasticine into the balloon. This is to weigh it down when it sits in the base. Inflate the balloon with approx. 4 puffs and tie with a knot. trace the shapes onto the balloon, approx. 6cm from the knot. to your calavera, such as flowers and hearts. You can outline your shapes with a black sharpie. Lastly, carefully place the balloon on the paper base. Your skull is ready! 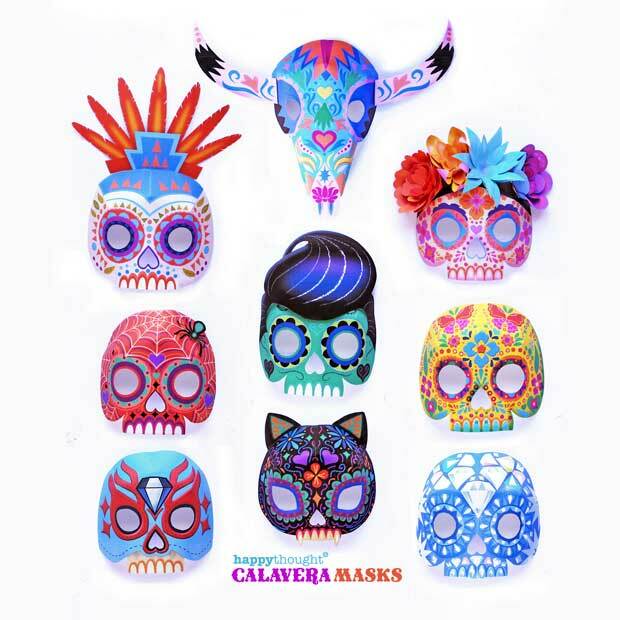 Make as many calaveras as you like and use them to decorate a shrine or party table. You can also use this project to make a papier mache skull. 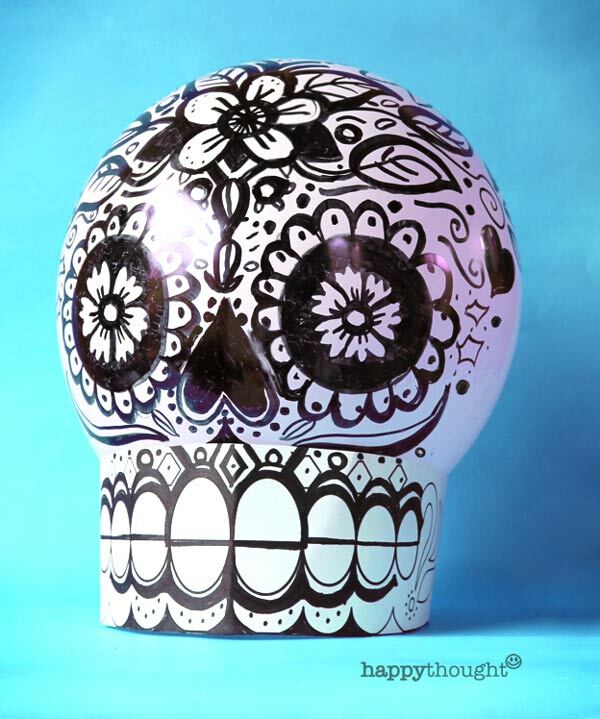 This balloon calavera skull craft idea is part of our Day of the Dead craft activity pack. 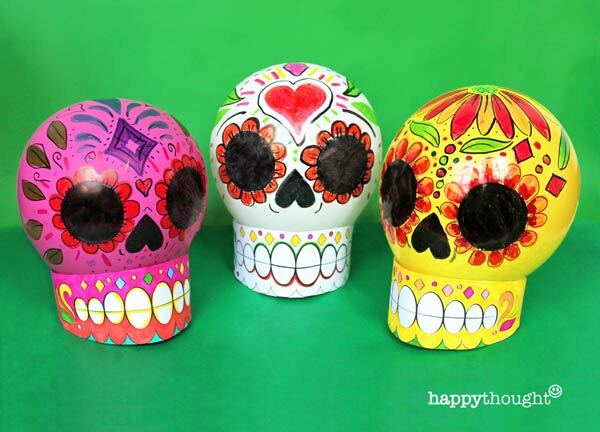 Featuring 7 craft activities and a Learn about Day of the Dead teacher friendly worksheets. 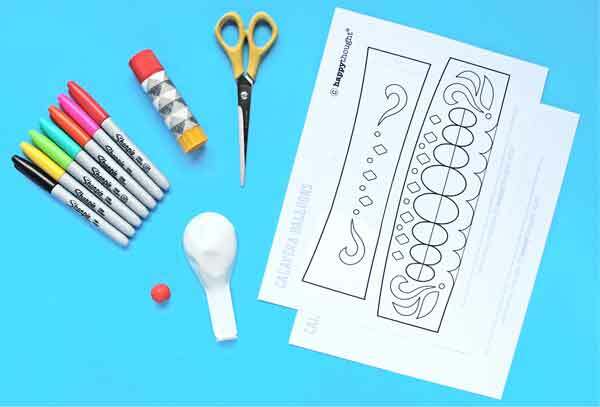 All of the DIY tutorials, patterns, cutouts, printables and worksheets come in English and Español versions. 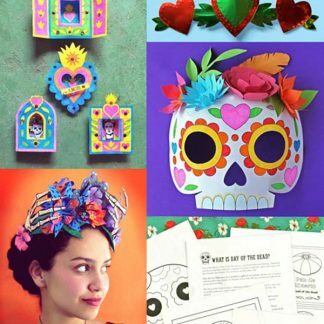 El Dia de los Muertos craft activity pack, full of classroom and home decorations ideas for a Day of the Dead celebration. 2. Make this very stylish paper flower crown or corona for a fiesta or date. 3. 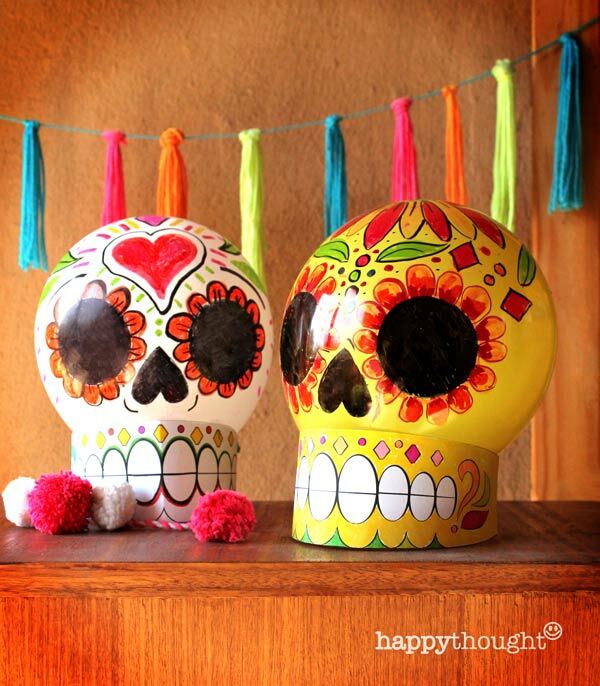 Craft and make a nicho for an activity or craft for Day of the Dead decorations. You can find these affordable craft PDF worksheets in our shop, for some fun and easy Day of the Dead activities! 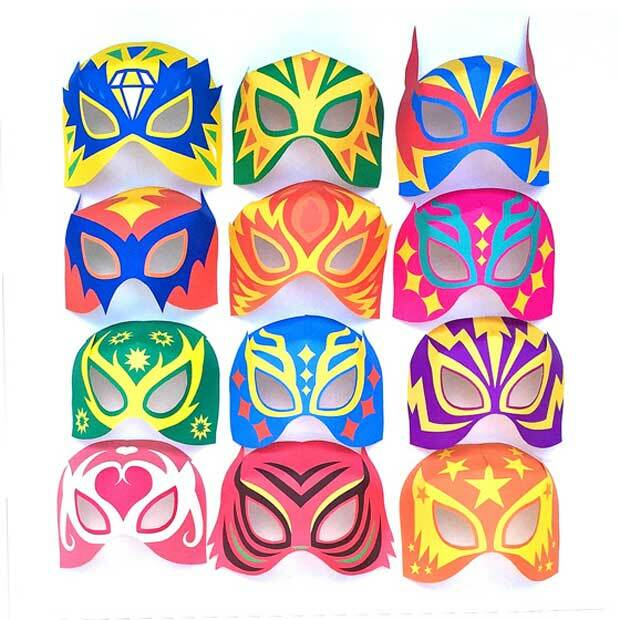 Find more Nicho activities, Mexican paper stars and Calavera masks. We hope you enjoyed our balloon calavera skulls activity. 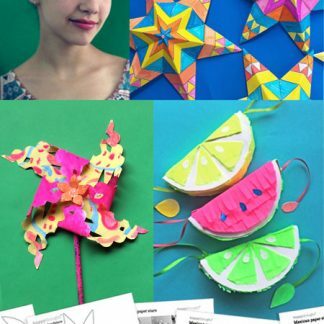 We also have some great craft kids ideas on our pinterest board. 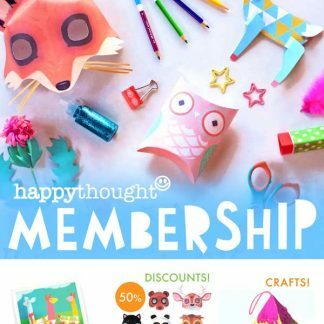 Join Happythought membership to get loads of great free craft template projects, discounts and our newsletter. 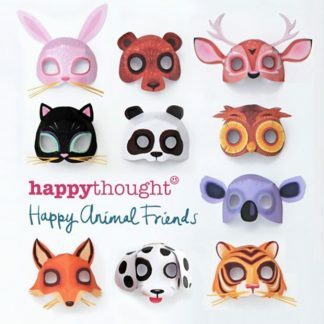 Previous post: 10 Super Spooky printable Halloween masks! 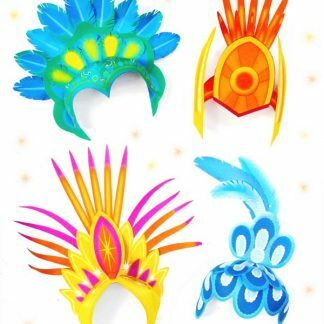 Next post: What is Carnival and how is it celebrated?